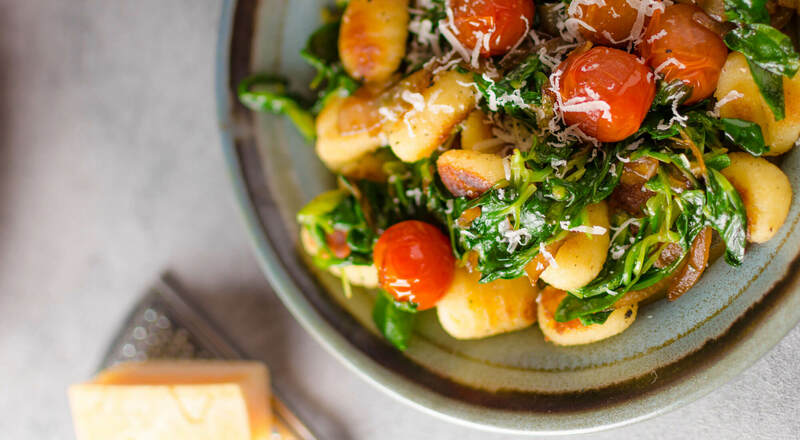 Novelty Hill’s Stillwater Creek Vineyard Viognier has a wonderful creaminess that pairs well with the dressing and the natural bright fruit flavors of the wine re complemented by the fresh apples. Toast hazelnuts in 350° oven with olive oil and salt until golden brown. Slice apple into desired shape. Use mandolin or knife to shave fennel thinly. 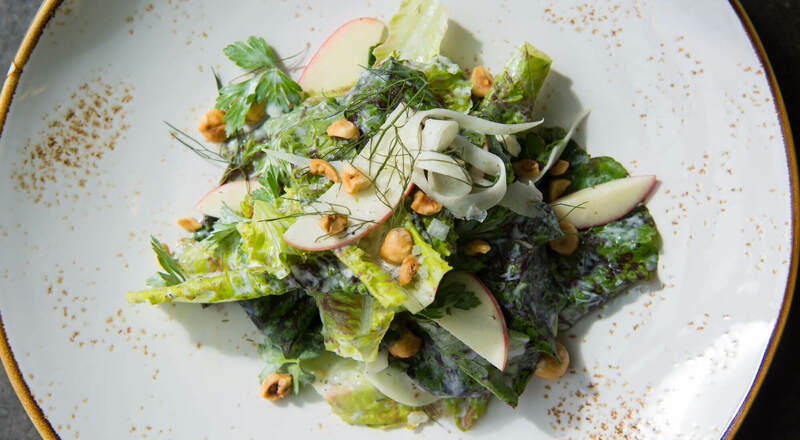 Toss lettuce with apple, fennel, hazelnuts and dressing. To make the dressing: Cut preserved lemon in ¼’ slices and skin the outside rind off of it. Take the insides of the lemon and place in a pot with shallots, coriander, fennel and white wine. Bring to a simmer and reduce by one-third. Puree in a blender and pass through strainer. Cool, then mix with buttermilk, crème fraiche, dill and chives and reserved lemon rind. Season with cracked black pepper.